This shrub is deciduous so it will lose all its leaves in autumn, then fresh new foliage appears again each spring. 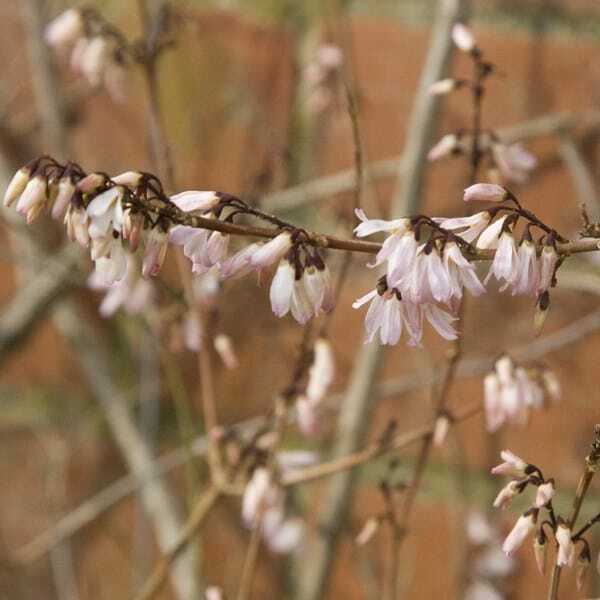 A relative of the Forsythia, this is a handsome, deciduous shrub is smothered with small, star-shaped, light pink flowers in late winter and early spring. They have a delicious scent and will fill the surrounding area with their scent, and if whole stems are cut and added to a vase, they not only look great, but will fill the room with their perfume. 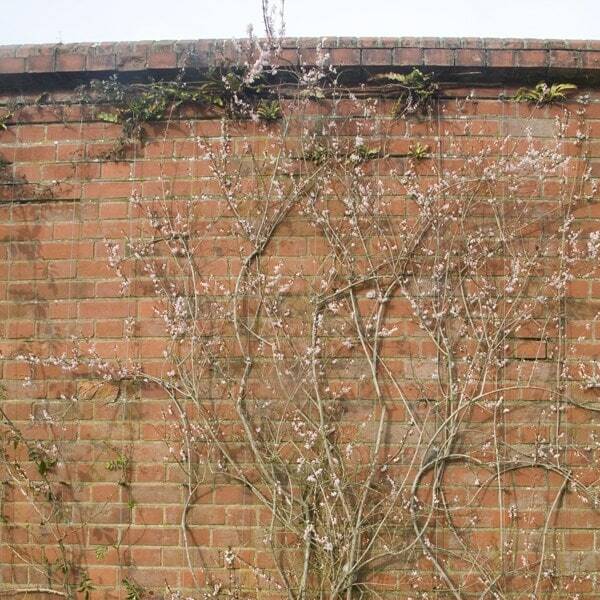 Abeliophyllum is ideal for adding early interest to the shrub border, it is also perfect for training into the shrub border, it can also be trained into a fan shape and grown against a warm, sunny house wall. The foliage of this shrub also offers late interest, as its normally green leaves often turn purple before they are shed in the autumn. Garden care: Prune after flowering in spring, cutting back some of the old wood to a vigorous side shoot and then apply a generous 5-7cm (2-3in) mulch of well-rotted compost or manure around the base of the plant. Once established, after flowering in spring cut back every second or third flowered shoot to the base.